Martin Phillips is an award winning wedding & portrait photographer based in Porthcawl and a member of Fearless Photographers – the unique photography directory of the world’s best professional photographers. The website is built on the WordPress platform so the content management system is stable, feature rich and easy to use. A custom child theme enhances the versatile Divi theme. Lightbox galleries showcase the superb photography. 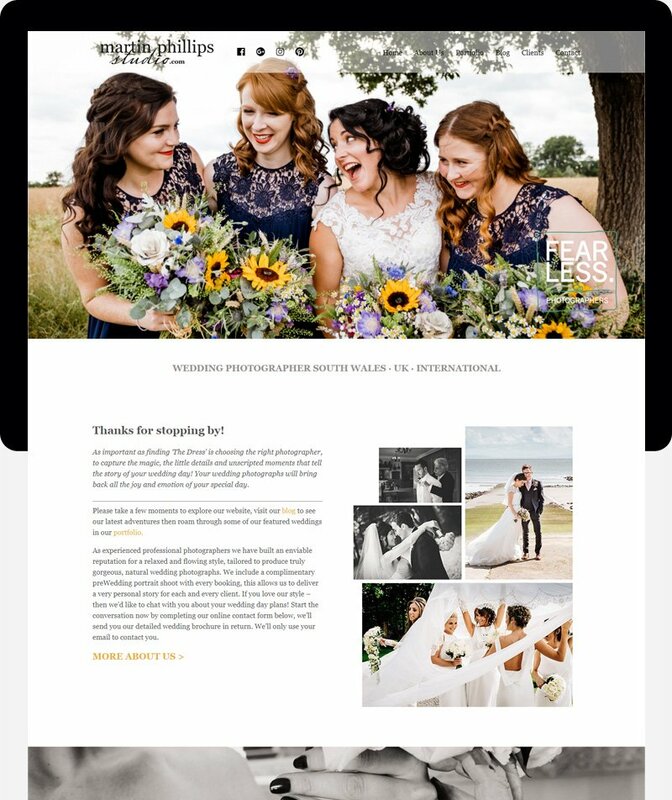 The blog plays a vital role and Martin uses it to full effect to display his photo journalistic approach to prospective clients.